And F SPORT makes three. 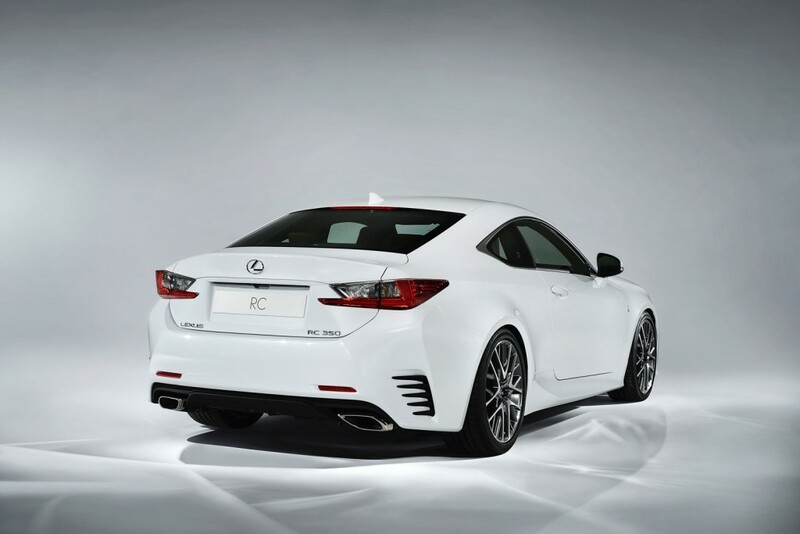 Driving enthusiasts, get ready for more Lexus RC options from which to choose. 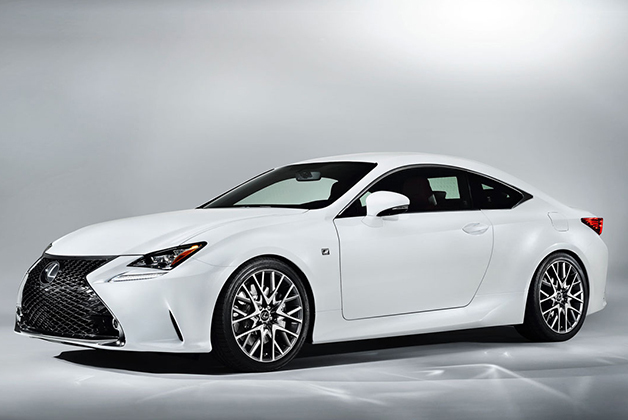 When the all-new model launches in the U.S. this fall the 2015 Lexus RC 350 F SPORT will join the recently introduced RC 350 sport coupe and RC F performance model. The RC 350 F SPORT will make its world debut at the 2014 Geneva International Motor Show. The RC is a stand-alone model rather than a two-door derivative of a sedan although it is built on the GS sedan platform. It has the same width as GS and a shorter wheelbase than the IS sedan to help achieve spirited handling and agility. The RC 350 F SPORT, based on the RC 350, will feature exclusive design elements and enhanced driving performance. The F SPORT’s dynamic upgrades include Adaptive Variable Suspension (AVS) and the available Lexus Dynamic Handling (LDH) system. These features provide drivers with an even more rewarding and engaging driving experience. Readily identified by a model-specific “F” mesh design, the RC 350 F SPORT features a further evolution of the Lexus spindle grille. The unique 19-inch F SPORT mesh alloy wheels feature machine-finish and dark metallic paint. 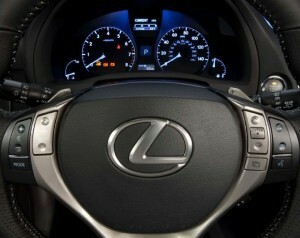 The RC 350 F SPORT also inherits a descendant of the innovative LFA driver’s meter with a moving center ring, and an F SPORT perforated leather steering wheel and shift knob. The interior design is completed by Silver Performance trim, an F SPORT-exclusive Rioja Red interior and seats with unique contrast stitching. Adaptive Variable Suspension (AVS) is part of the F SPORT package. In response to driving operation, vehicle body motion and road surface conditions, AVS automatically and independently adjusts the performance of the damping at all four wheels. When the vehicle’s SPORT+ drive mode is selected, AVS changes to allow the driver to feel improved body control and precise responses to steering input. The suspension enhancements of the RC 350 F SPORT are complimented by the available four-wheel steering benefits of the Lexus Dynamic Handling (LDH) system. This leading edge platform technology offers the integration of Dynamic Rear Steering (DRS) and Variable Gear Ratio Steering (VGRS). Monitoring vehicle speed, steering direction and driver inputs, the system calculates the optimum angle for all four wheels. Using VGRS in the front and DRS in the rear, the system can independently manage both front and rear wheel steering angles to help improve turn-in response, rear grip, vehicle control and overall agility when cornering. The LDH system monitors vehicle speed and yaw rate, steering angle and speed, and lateral G to calculate the required rear wheel steering input up to a maximum rear wheel angle of 2.0 degrees. The front and rear wheels turn in opposite directions at lower speeds, and in the same direction at higher speeds. Lexus will introduce the RC 350 F SPORT at a press conference on March 4, at 8:45 a.m. Central European Time at Palexpo’s hall 4, stand number 4211. 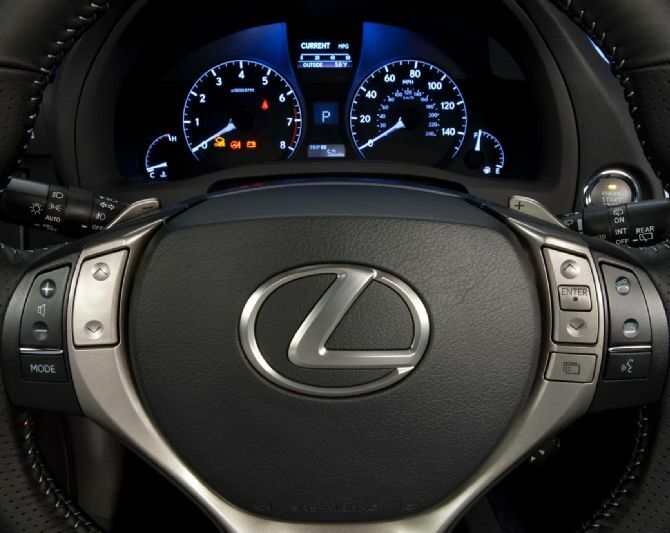 Print article This entry was posted by Art Eddy III on February 28, 2014 at 1:06 pm, and is filed under Cars, Lexus. Follow any responses to this post through RSS 2.0. Both comments and pings are currently closed.